Almost without significant forewarning, Americans in 1967 witnessed a simultaneous cooling of Cold War tensions with the Soviet Union while the war in Vietnam exploded into a white-hot conflict that inflicted nearly two hundred American battle deaths a week. Meanwhile, young people at home were alternately listening to the cool” sound of the Beatle’s new Sgt. Pepper” album and Jim Morrison’s plea to get ever higher in Light my Fire.” On television an emotional, passionate James T. Kirk shared an Enterprise bridge with the cool and logical Mr. Spock. Victor Brooks explores what happenedand in some cases, did not happento these two hundred million Americans in a national roller coaster ride that was the year 1967. He chronicles a society that proportionally had far more young people than was the case five decades later, with a widely publicized generation gap that produced more arguments, tension, and anguish between young and old Americans than any 21st century counterpart. 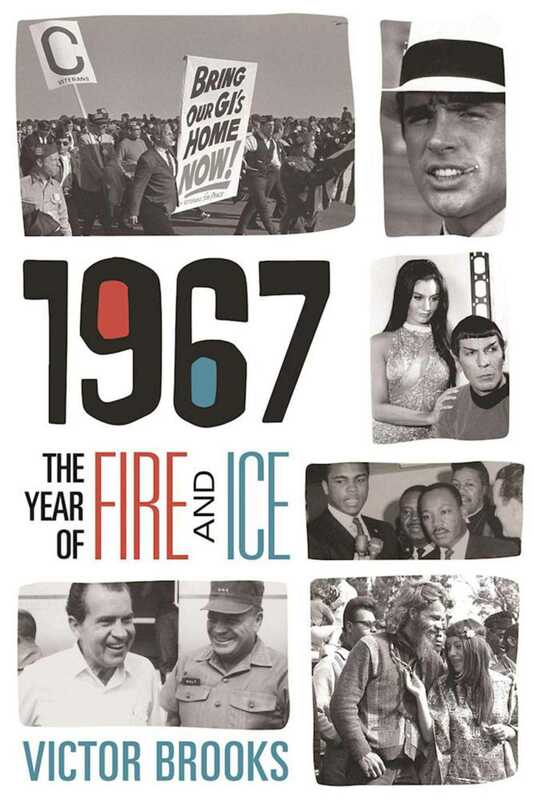 1967 is a fascinating, wide-ranging exploration including topics ranging from the first Super Bowl, the beginning of the 1968 presidential campaign, the social impact of the Summer of Love” in San Francisco, and the American combat experience in an expanding war in Vietnam. The book represents a reunion of sorts for Baby Boomers as well as a guidebook for younger readers on how their elders coped with one of the definitive years of a pivotal decade.